The NHS ambitions to focus on individual and community involvement in healthcare. The shift to more local delivery of health and care services. The vast potential to increase the scale of green care provision. 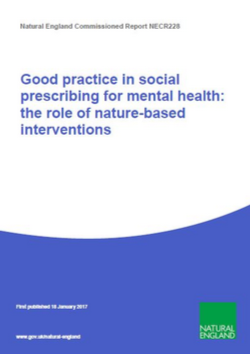 Options for improving the commissioning of, and referral to, these services as well as scaling-up the provision of nature-based interventions are explored.